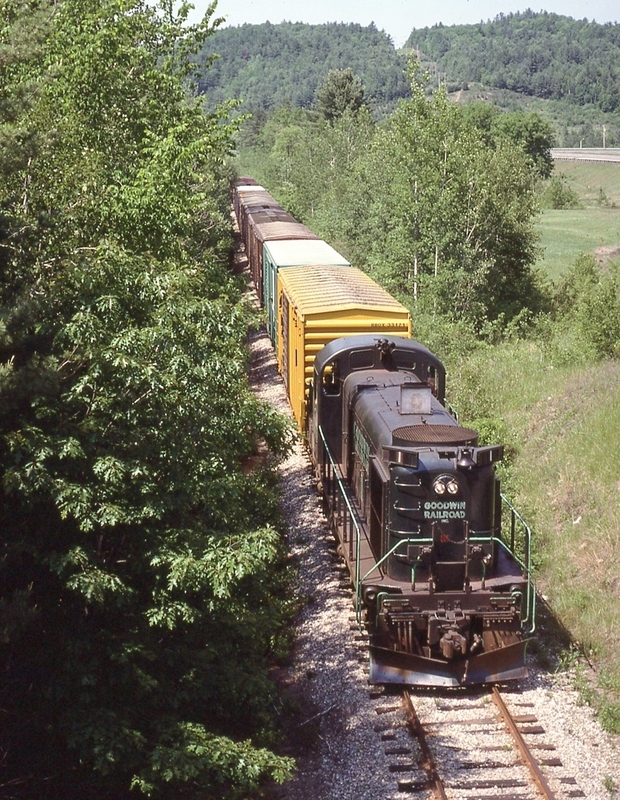 The length of this train, near Campton, NH, recalls a more "comfortable" time for paper manufacturing in northern New England. Photographed by Ken Patton, June, 1980. Added to the photo archive by Ken Patton, October 17, 2018. Love the detail on the ex-MEC RS3. I think this unit still exists as part of the Railroad Museum of New England's collection but it needs restoration. Nice capture!